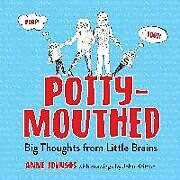 An illustrated collection of the hilarious things kids say, collected by a couple as they stagger through the punch-in-the-gut and laugh-out-loud moments all parents experience while raising new talkers. Illustrations. 5 1/2 x 8 1/2.